Ben Gottesman is doctoral candidate at Purdue University’s Center for Global Soundscapes, where he is studying how the sounds of nature can teach us about biodiversity patterns and disturbance impacts in different ecosystems, including grasslands, coral reefs, and kelp forests. 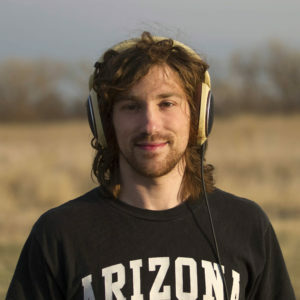 Intertwined with his research pursuits, Ben writes and performs music infused with his field recordings to promote environmental conservation, and loves teaching kids how to explore the natural world with their ears. With the Platte Basin Timelapse, he paired audio recorders with time-lapse cameras to learn about migration phenologies and “river rhythms”, and ended up discovering his favorite sound—the whooshing of crane wingbeats overhead.